Ocean Isle Beach is full of beautiful large beach homes, which are perfect for intimate beach weddings. Jonathan and Rose opted to have their Ocean Isle beach wedding at Southern Comfort on a fall October day. Here, they are all smiles after saying their vows and making their way through guests in a bubble exit. 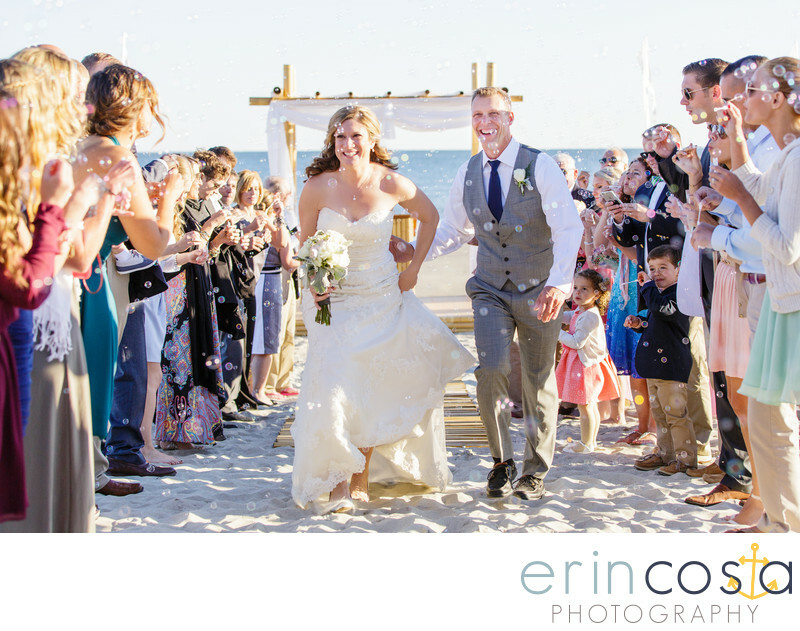 Ocean Isle beach weddings are great and a less than an hour drive from Wilmington, NC! Location: Ocean Isle Beach, NC.